"1325BG I got from you has been runing 24/7, only time down is to change out material blanks." "I am really happy with their performance. The right choice for the money." "We have received the product very well. We regard it as an honor make business with you." "You offer an excellent service." 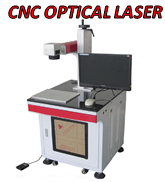 "The CNC machine I bought run VERY well. I can say VERY good."